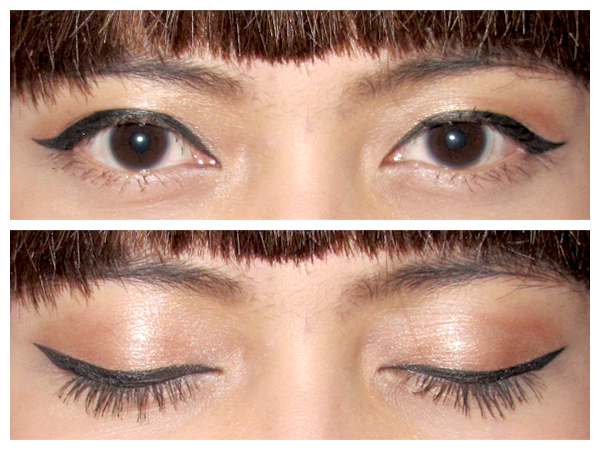 It's obvious that I love eyeliner so much! 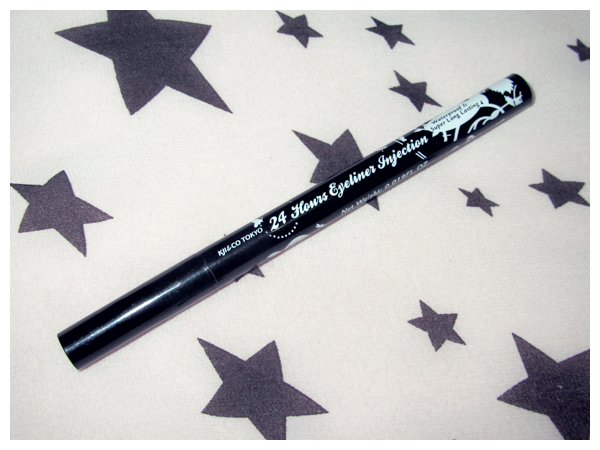 This is one of my new eyeliner. I haven't heard or tried this brand before, Kji & Co Tokyo, some people said it is worth to try. Like most of Japanese brand, the packaging is full of graphic and typography. I was curious when saw the word "Injection". Is it like the real injection? It looks like a pen with sharp and flexible nib. The packaging and the product. The product, full of graphics. 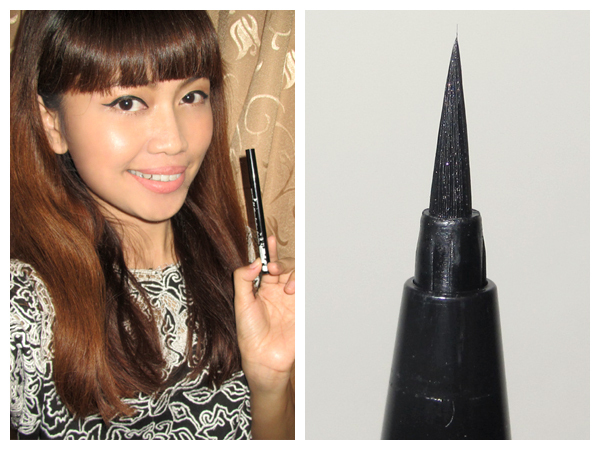 I can create winged eyeliner precisely with its sharp and thin tip.. 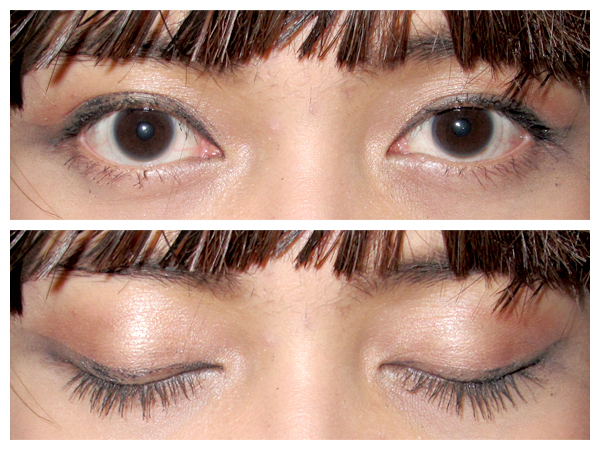 It fades after I wash my eyes area. - The staying power is quite ok, as long as I don't wash it with water. 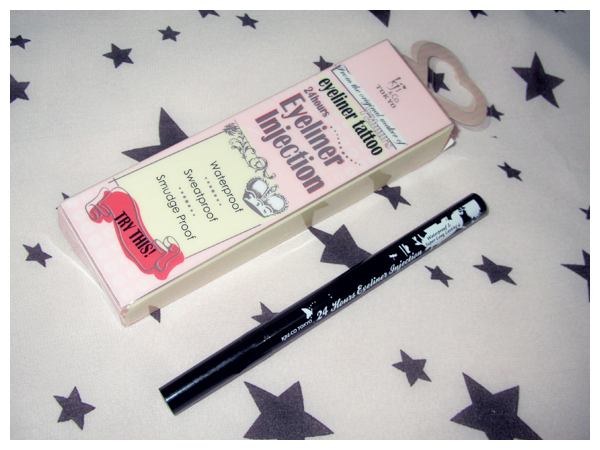 This product is good for daily eyeliner. 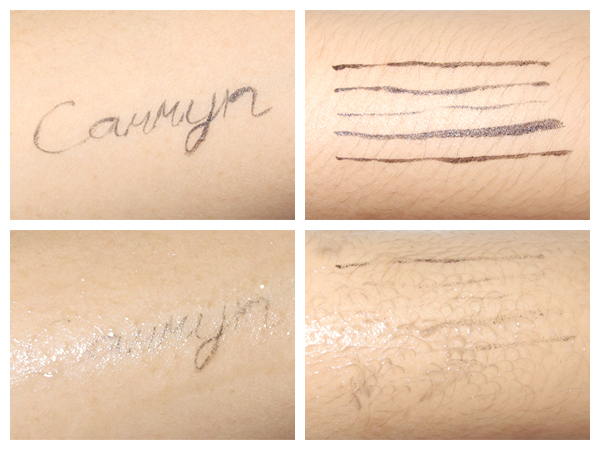 If you want to buy it, visit www.perfectbeautyshop.com. They provide a lot of beauty products, including the famous egyptian magic cream. The non-waterproof aspect kind of turned down the product a whole lot. It's sad since it looks like amazing product with so much positive aspects. Wow that is a really precise tip and awesome eyeliner drawing skills.